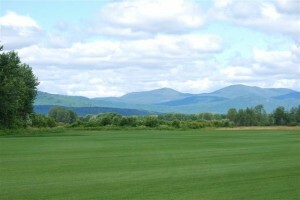 Turf sales at Green Thumb Farms began in 2005. Rich soils found in Maine’s Saco River Valley coupled with our pledge to use the finest seed available result in the kind of quality we are committed to providing our customers. Our sod is fully matured. This makes the installation process easier because the sod won’t tear or fall apart as the rolls are installed. This minimizes waste of materials and man hours. In the heat of the summer we harvest overnight to assure that fresh sod is arriving at your jobsite at the quoted time. No waiting for delivery, time is money. Competitive pricing & superior customer service. Currently we offer three varieties of turf; Kentucky Bluegrass, a Tall Fescue Blend and a Fine Fescue Blend. Kentucky Bluegrass is a thick, dense turfgrass well known for its self-repairing and spreading capabilities. These features make it very successful on sports fields, residential lawns, golf roughs, parks, and many other areas. Kentucky Bluegrass is a full sun variety that is moderately drought tolerant, regular watering is recommended. A Fescue Blend is a slightly more drought tolerant and shade tolerant variety that adapts well to sunny or partial shade areas. The Fescue Blends can also stand less fertilization and irrigation than bluegrass, making them well suited for low traffic areas such as parking lot islands, golf roughs, around buildings, and other partially shady areas. Check out our sell sheet for more details. 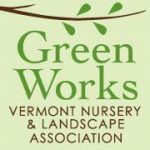 In addition we also offer a variety of native sods such as Wild Maine Blueberry, Bunchberry, Huckleberry, Haircap Moss, Hay-Scented Ferns, and more upon request. Grown in Downeast Maine, our native sods are a great way to add a unique look to any landscaping project. Click here for more information. 2’x5’ Small Rolls are available in Kentucky Blue Grass, Tall Fescue & Fine Fescue Blends. These rolls are neatly palletized at 500 sq ft per pallet. 4’x62.5’ Large Rolls – Kentucky Bluegrass & Fine Fescue blend. This option is well suited for large, flat, open areas and does require the use of equipment to roll it out. Landscapers, contractors, golf courses, schools, municipalities, home owners and more are included in our customer list. If you have an area in need of sod, call us as we’re sure we can help you out! It is helpful if orders are placed at least a couple days prior to the requested delivery or pick up date to allow time for scheduling, however we will make every effort to accommodate all requests. Orders of any size may be picked up in our fields, and orders of at least 500 square feet may be eligible for delivery. Click here for pricing information or contact us at (207) 256-4001 for more details, to request a quote, or to schedule your order. We often receive questions about how to measure and prepare your area for sod. Information from Turfgrass Producers International will help guide you through measuring to maintaining your lawn. In addition we do recommend getting your soil tested prior to installing your turf, this will be beneficial when prepping your soil prior to installation. For a list of Extension Services that offer soil testing click here. I spent 4 years in Minnesota where everything gets sod. We bought from Magnuson Farms peat based KBG sod. I would put yours against theirs any day of the week. They answered all questions promptly, kept us up-to-date on all aspects of the process, worked around our schedule and accommodated us with no concerns. It is a pleasure dealing with them, I highly recommend Green Thumb Farms. Best sod we have ever received and installed! With proper watering ad care it didn’t even take a set back and we installed one job in the heat of mid-summer. I tell every contractor I work with they should buy sod from you. You guys are the best! They have always worked great for me, if there is an issue Scott lets me know right away. Scott is the best to work with. Always on time, responsive and polite. Never had one late delivery in my 5 years.